We are delighted to announce – and indeed very proud – that our Traditional German Stollen has just won a major award – a British Baker Christmas Star. 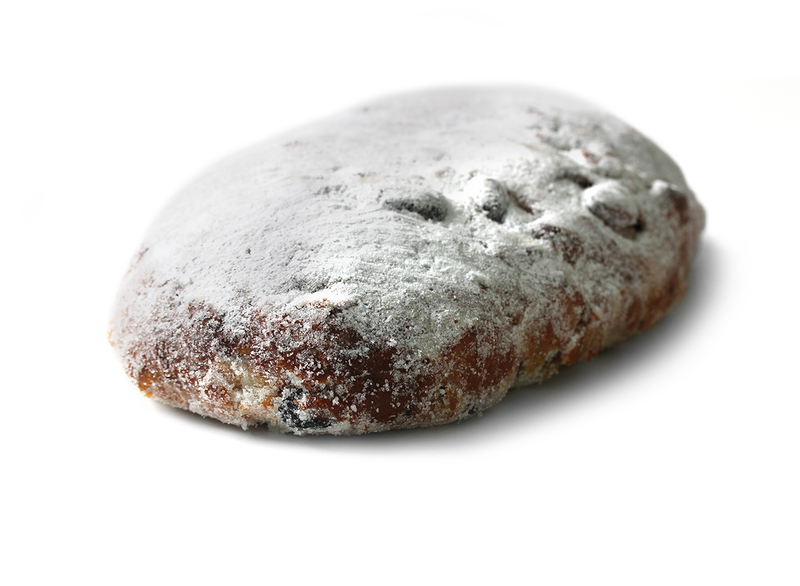 The Stollen was judged ‘blind’ by industry experts and was scored on a range of criteria including taste, appearance, aroma and value for money. We were up against strong competition from major national businesses as well as other artisan producers and are just so delighted that this gorgeous cake has got the recognition we believe it deserves. Maik, our master baker is from Germany and he gave us a cracking recipe (his grandfather’s!) for this traditional festive fruit bread that’s packed full of brandy-soaked whole almonds and hazelnuts, raisins and peel, mixed together with warming spices such as ginger, nutmeg and cinnamon. But the real treat with this Stollen can only be found when you cut it open; there is a small rope of semi-melted marzipan running inside the entire length of the icing-sugar coated loaf – ensuring that every slice contains this wonderful sweet almond paste.